50% larger than standard poker cards. 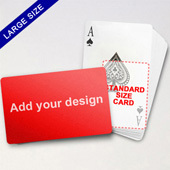 Range of card designs available for customizing card back or both face and back. 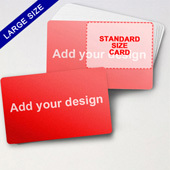 Some prints have more impact when big. 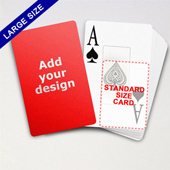 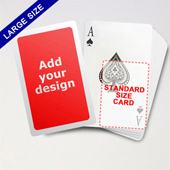 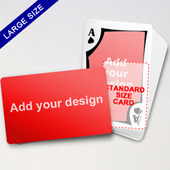 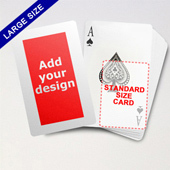 This is why we offer a supersized large playing cards version without forgetting the handy and great to carry factor. 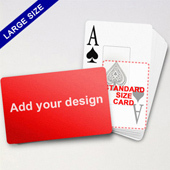 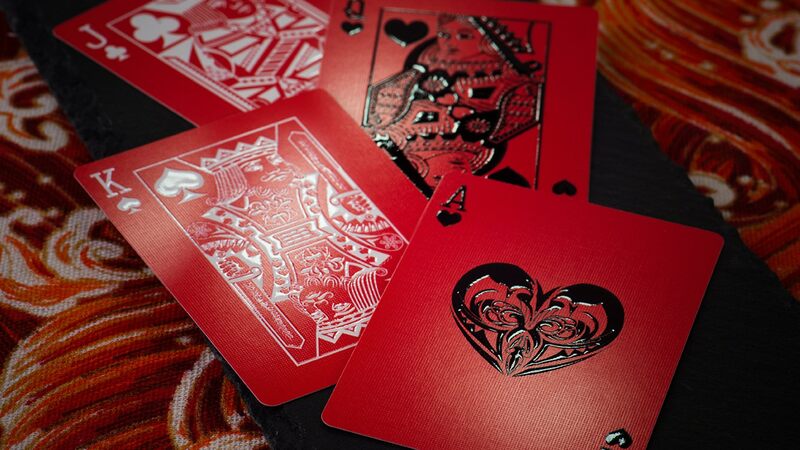 So regardless of whether you’re looking for the perfect promotional gift for your next corporate event or tradeshow, or if you want a more innovative way to share your products or work portfolio – our large playing cards range will meet your needs at low costs!